The Goethian Healings come to us from the deep teachings of Goethian Magick. They help you to stabilize and address issues held in the central core. Helps you destroy the fabric and seeds of your thought patterns – emotional, physical and mental. Recreates new patterns so that you can move to the next level in your spiritual life, and take the next steps forward in your life where you choose. Assists you to move out of the current state you are in and overcome what is holding you back. Can positively affect your immediate family. Seals and protects your aura for six months to one year. The Flaming Pentagram is also known as the Hands of Melchizedek healing. It assists you to let go of old patterns and create a new experience using the utilized energies. 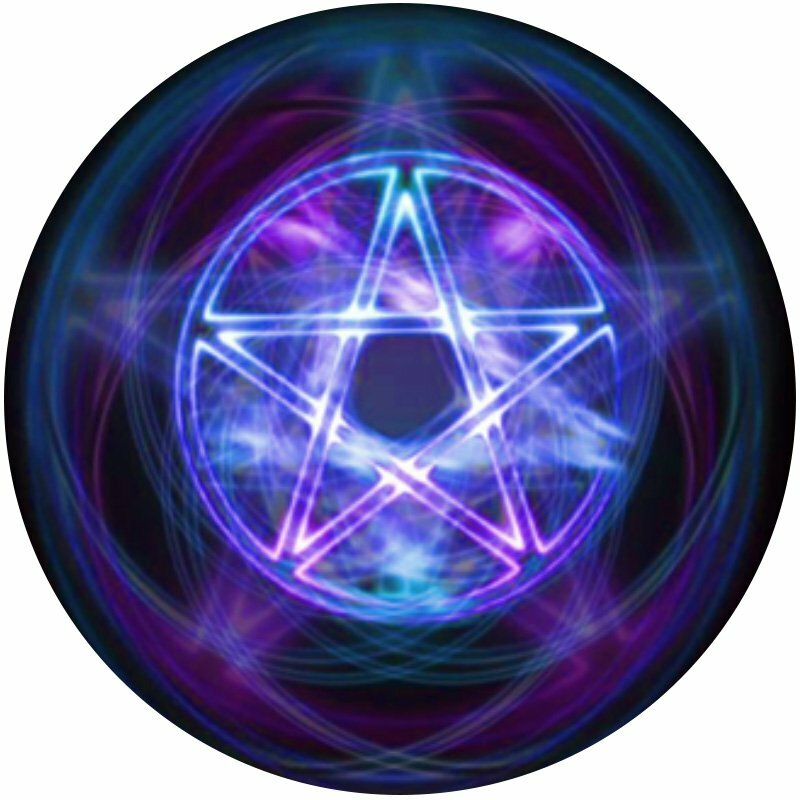 The pentagram is placed in your aura in multiple locations. This creates a protective shield around your physical body as long as needed for the healing to be complete.